This rambling mint bush is found across south eastern Australia in moist forests and around waterways. The thin, soft serrated and pointed leaves are found in pairs on long running branches, tipped with delicate mauve florets. 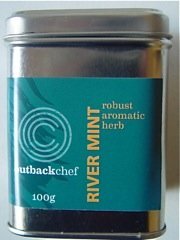 This is a subtle Australian native herb with the taste and aroma of spearmint. 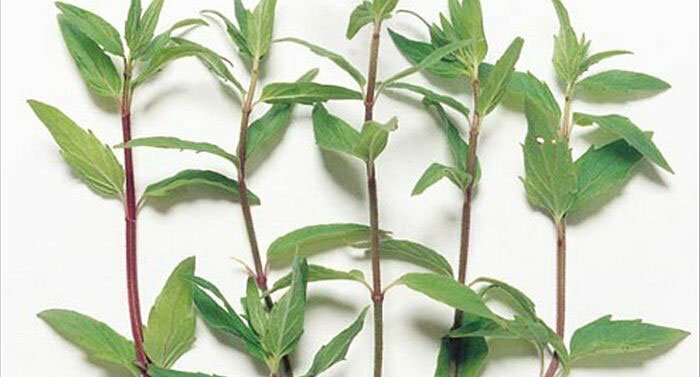 Indigenous Australians also used this herb for medicinal purposes. The commercial production of River Mint is being undertaken in shade house conditions with automatic irrigation systems and sequenced flush harvesting.